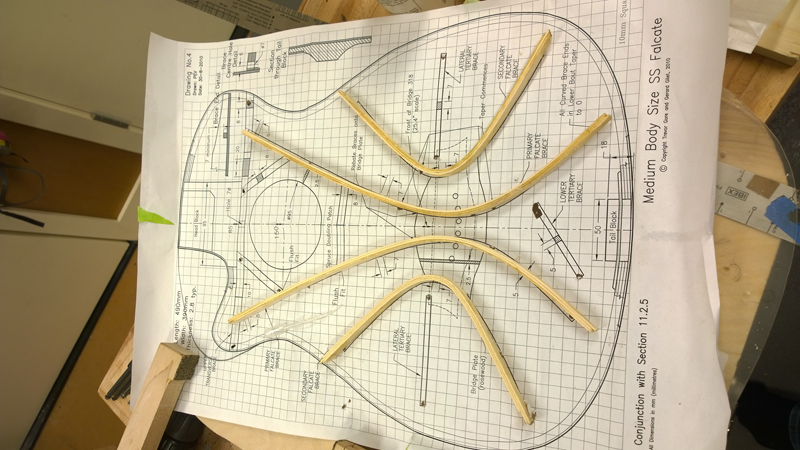 This new blog post is for my build thread for a Gore medium body steel string with falcate braces to his plan from his Build book, Contemporary Acoustic Guitar Design and Build Trevor Gore with Gerard Gilet. I will try to follow the procedure as best I can from the book, although I can not promise I will do things in the same order, but I will at least follow the dependency graph laying out the steps. 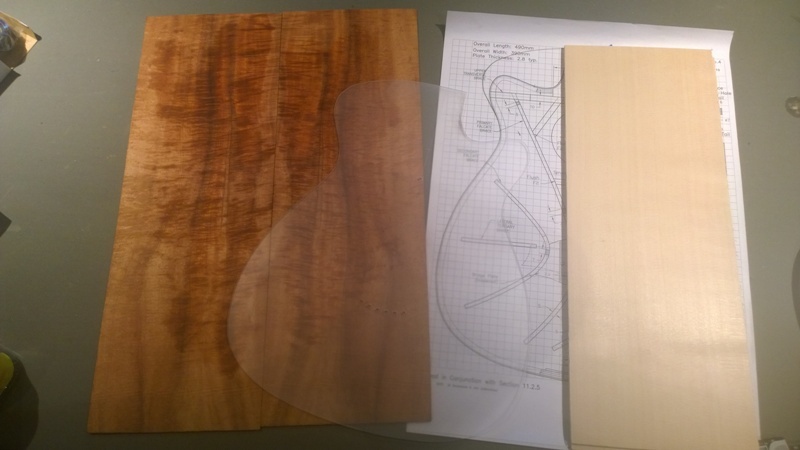 This week I will be building the required jigs and body molds and what not but decided to start selecting and preparing the plates. 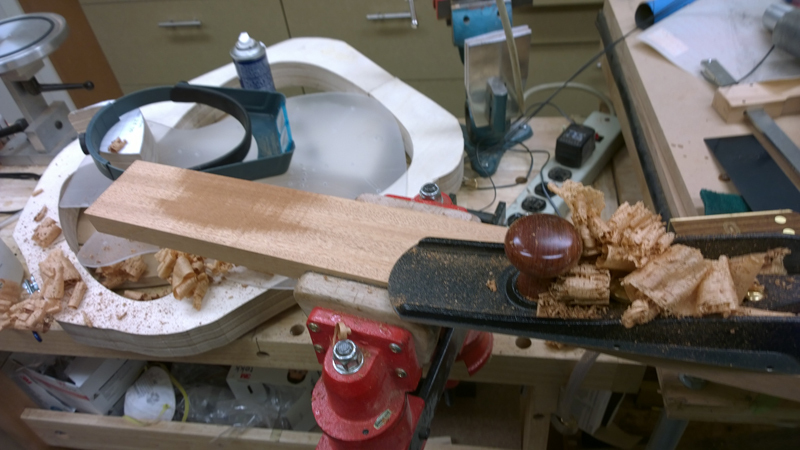 I have decided to use a Tasmanian Blackwoold set I got from Australian Tonewoods and a Lutz top I got from High Mountain Tonewood. 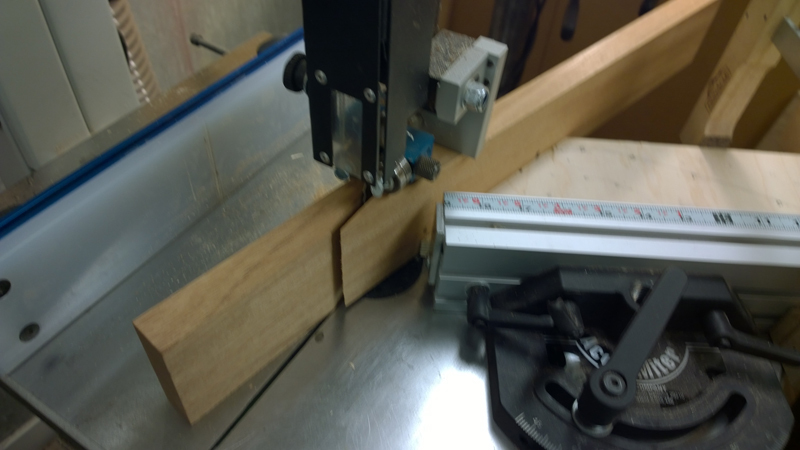 I followed section 6.2 Tap testing the panels for the top. 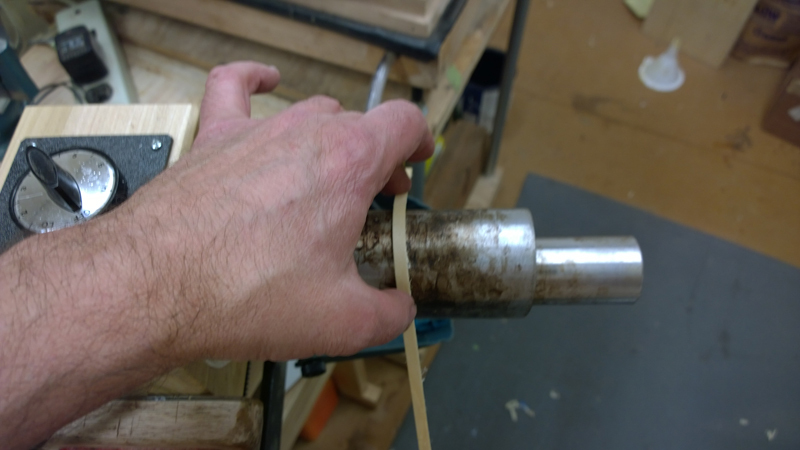 This is done to get consistent stiffness from plate to plate. 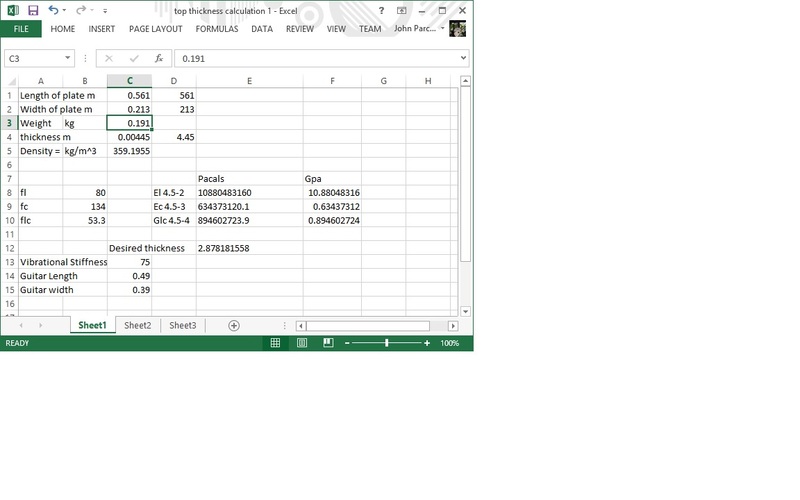 The vibration frequency of a plate is proportional to the Young's modulus (a measurement of stiffness). 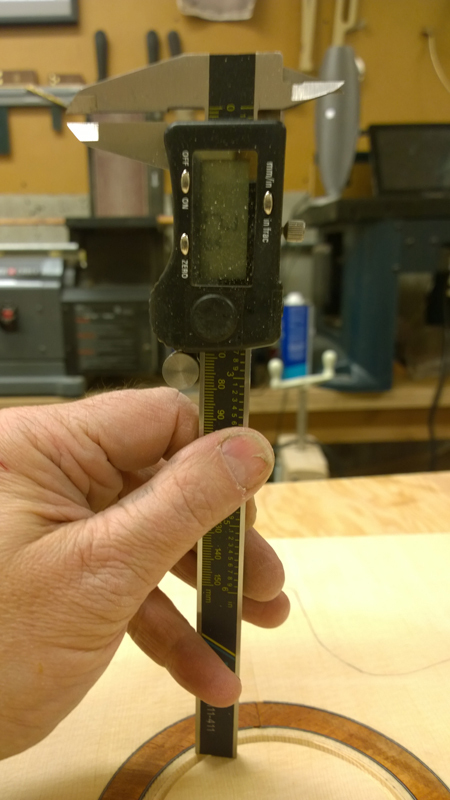 Also required are the length width and thickness of the plate. 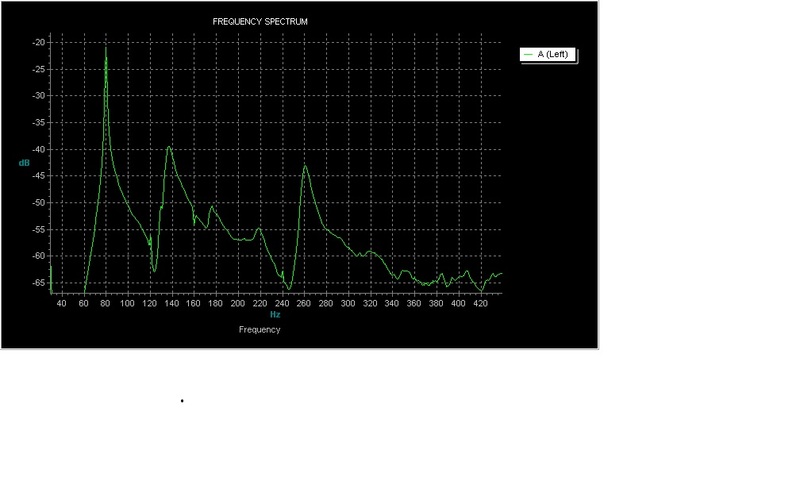 I think I am getting good spectrum plots. 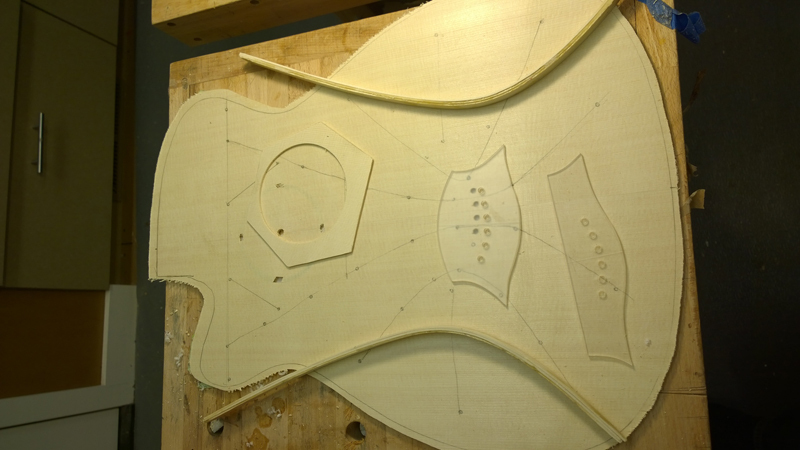 The unglued plate is sanded smooth, and it needs to be rectangular. 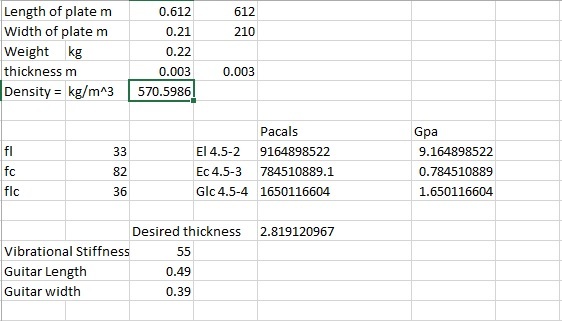 The are three different tap measurements that need to be. 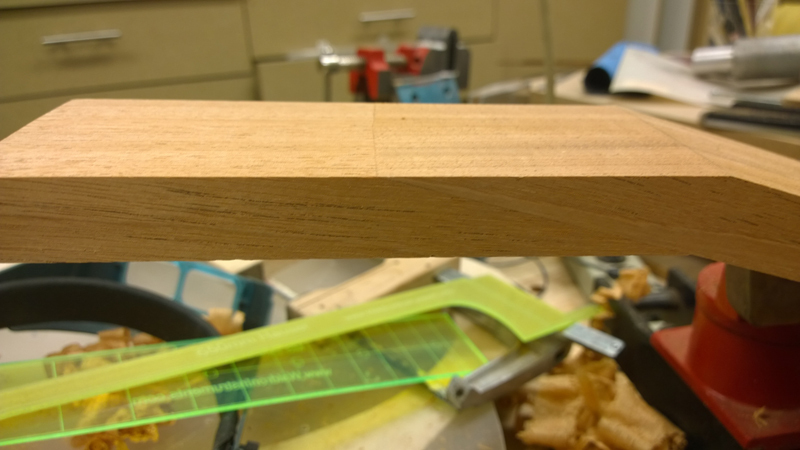 The long direction vibration and the cross grain vibration and a corner to corner or twisting vibration. 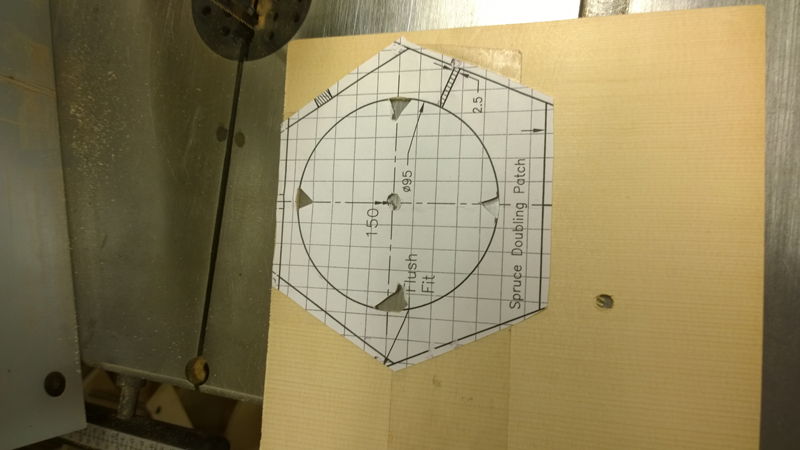 Holding and tapping the plates in the correct location emphasizes the specific mode that is being measure. 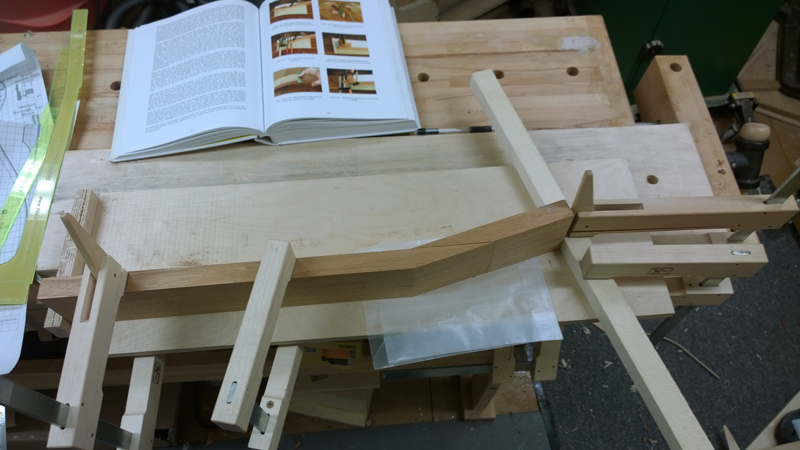 think it will be awhile before I do the interesting work as I am working on jigs and forms. 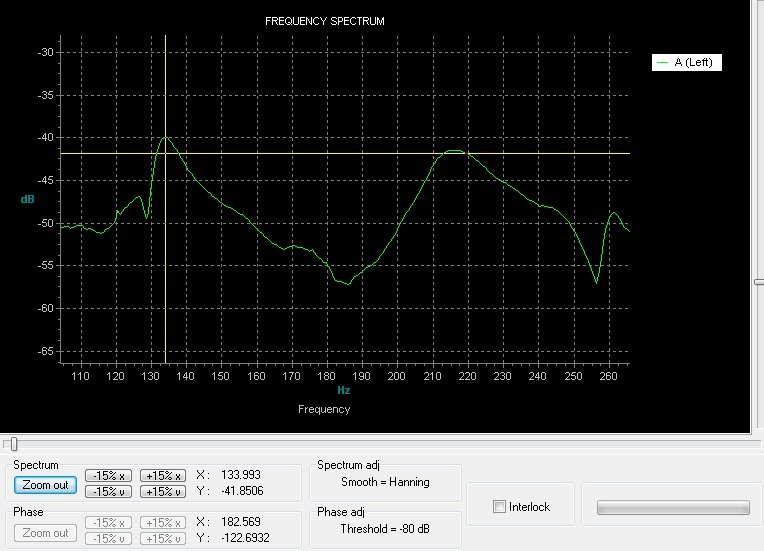 The 3 meter radius dish is throwing me for a loop, but I will find someone to make. I will probably have them make a 10 foot dish so that it is understandable. I ordered a 32 foot dish from John, so if no one complains I will pretend that it is a 10 meter dish. 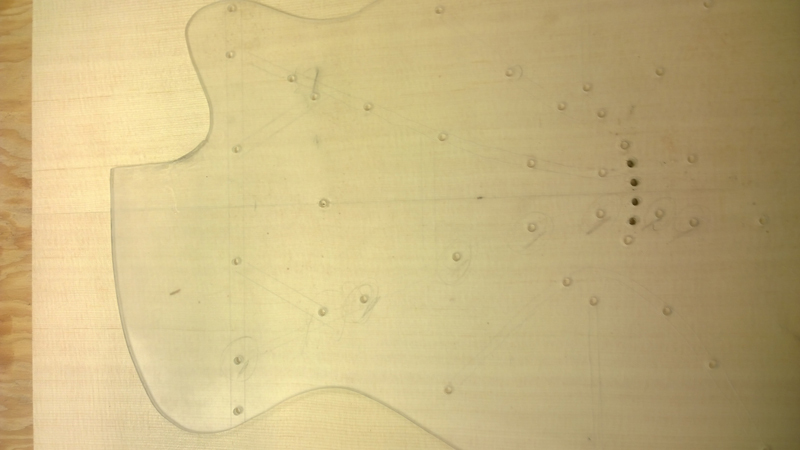 I mostly completed my body mold, still need to add the hardware. 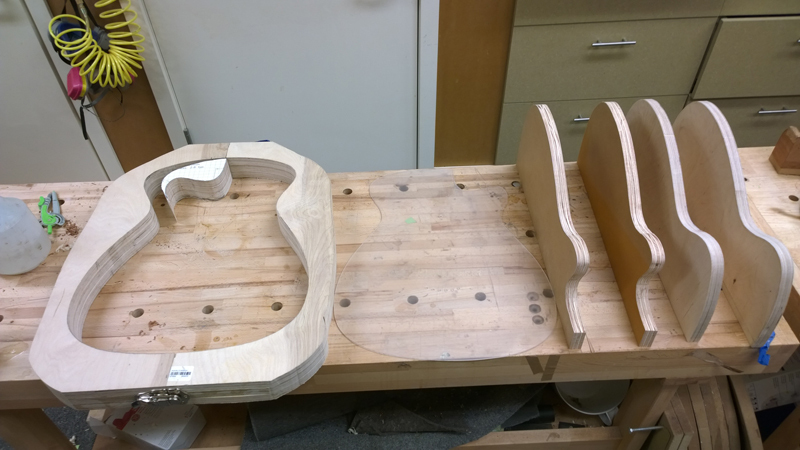 I made some progress of my bending forms. 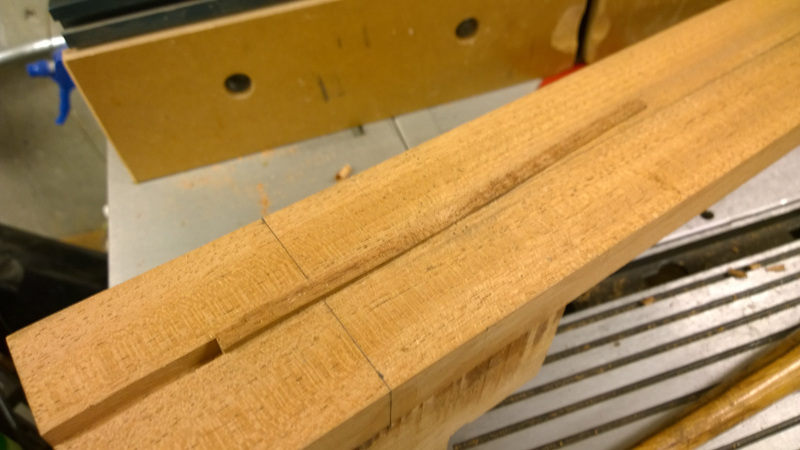 I decided to also make a cutaway form. 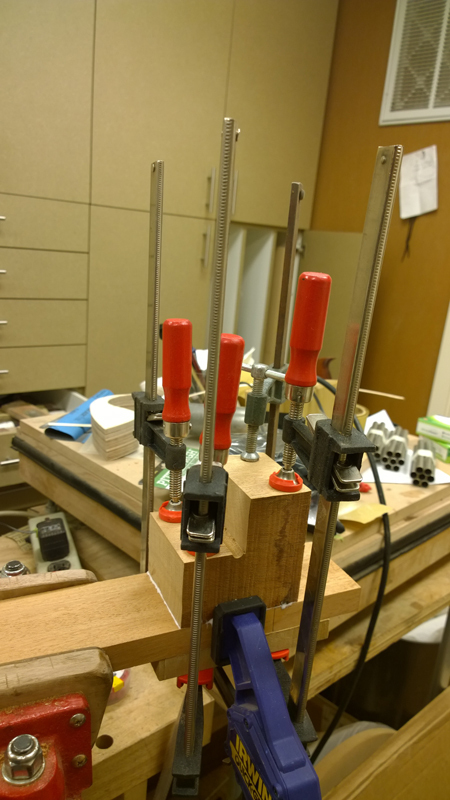 I have a cutaway clamp on my fox style bender. I need to get some pipes to finish them off. I also need to wait for my 10 foot radish dish of that I can profiles the sides. 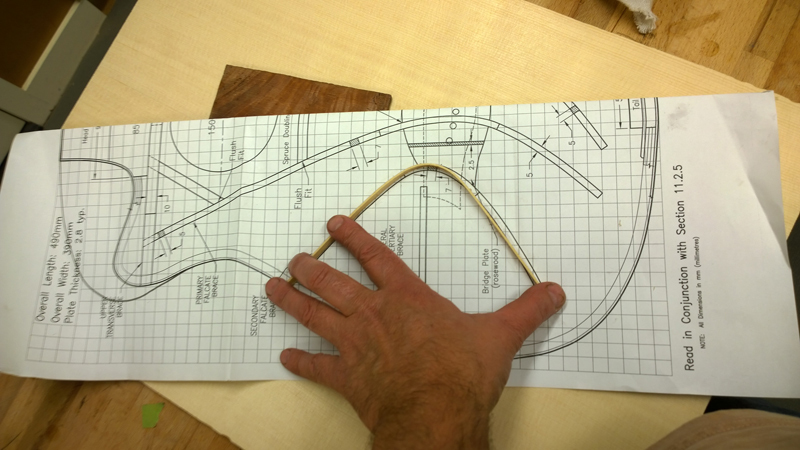 In the mean time I decided to see how it is bending spruce is for the tighter of the two falcate braces. 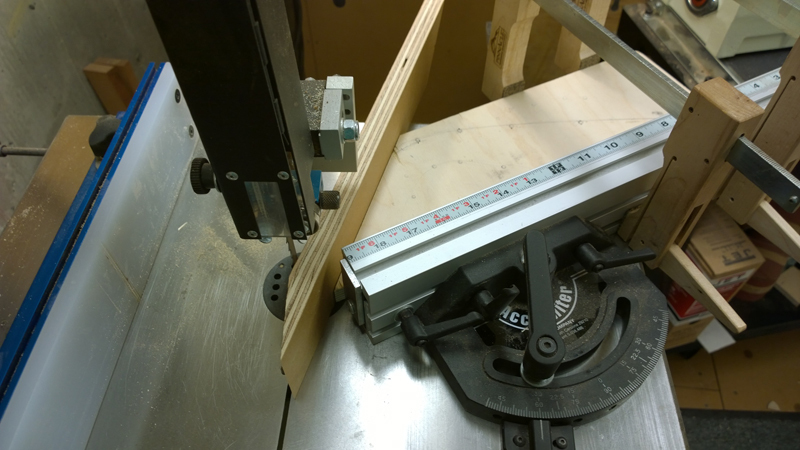 I first tested a scrap 1.7mm strip of spruce I had. 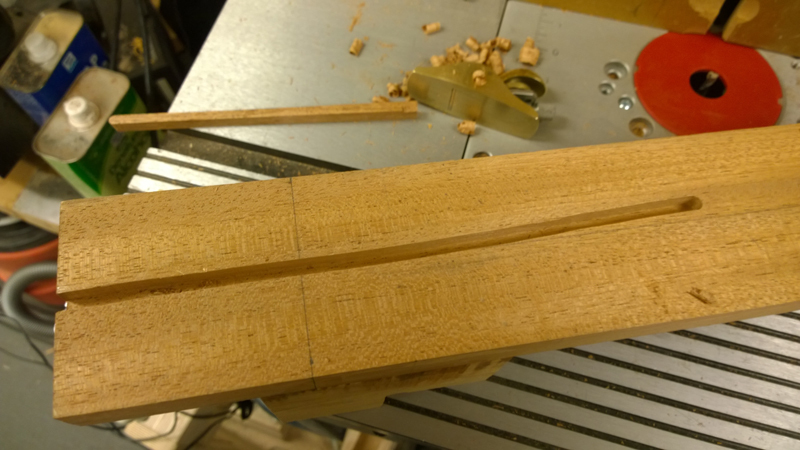 I was able to bend it no problem so I cut and thicknessed a few wider strips. 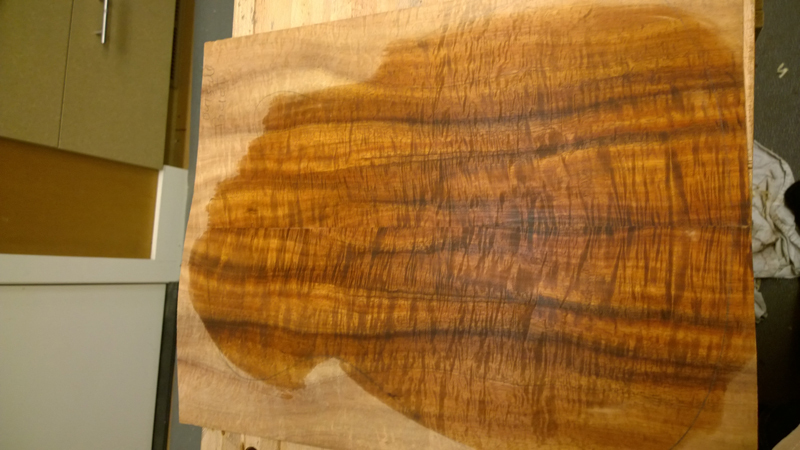 I sprayed them with super soft II and bend them. I do not think it lasts very long, otherwise I will have soft braces. I will see in a week or so. 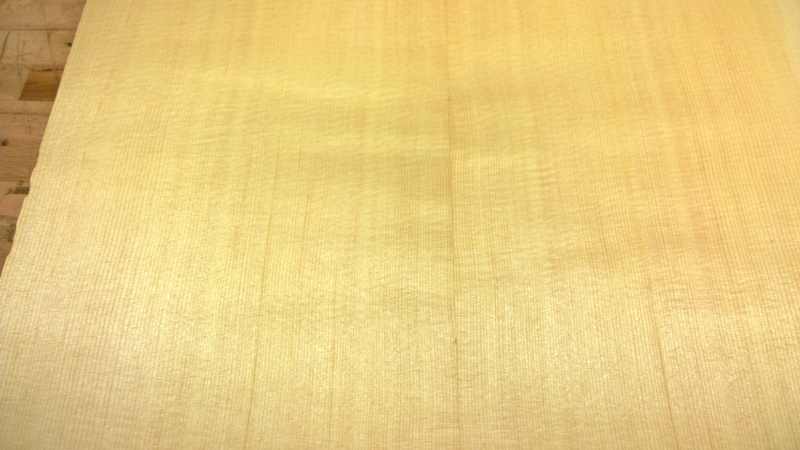 I am really excited about the lutz top and the Australian Blackwood back and sides. 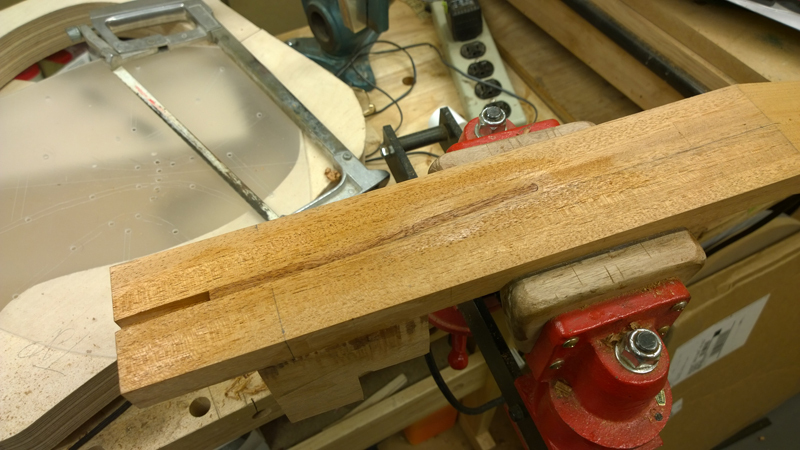 I tried to use hot hide glue to glue the top together I am not sure if I was fast enough as the joint was not very good. I ended up glue it with LMI white. 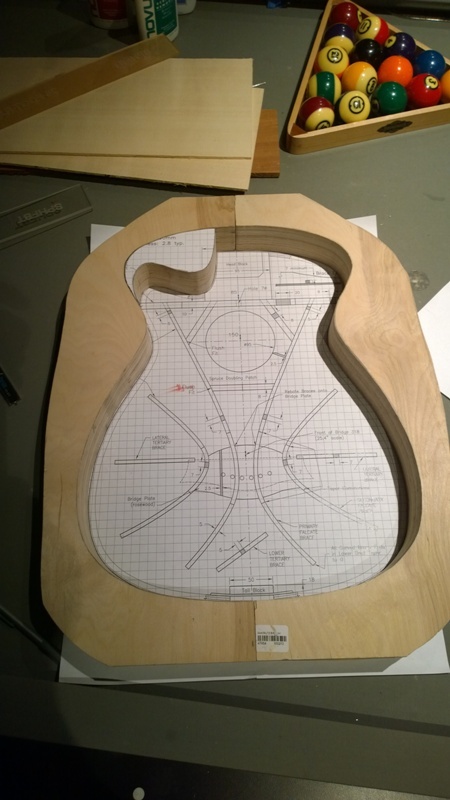 The back is going to have a 3 m radius. 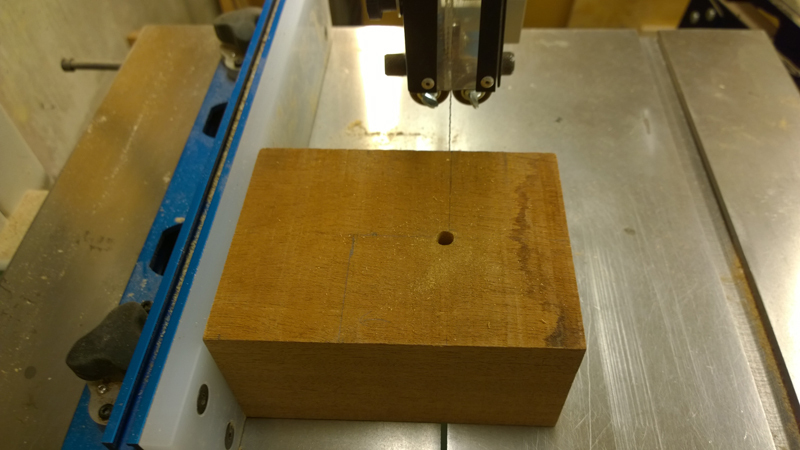 I did think about making the 3 meter radius dish using a 3 meter length or so of stranded steel guide wire attached to my router and a beam I have on a deck that is a bit over 3 M. I thought I would attach a tent like wire setup to a router motor using a 3 inch pipe clamp. 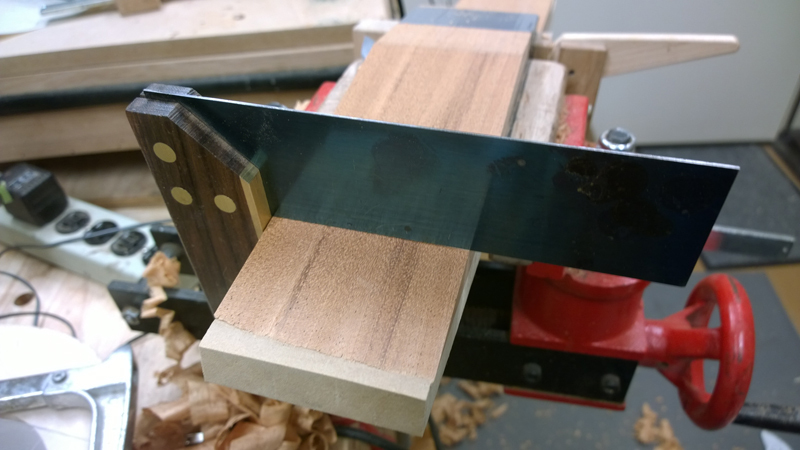 I would use the router as a plum bob to center the dish and set the height of the bit on the outside edge of the dish. Then my thought is I could happily route away. I am sure it would have made quite a mess. Ultimately I have one being shipped to me. 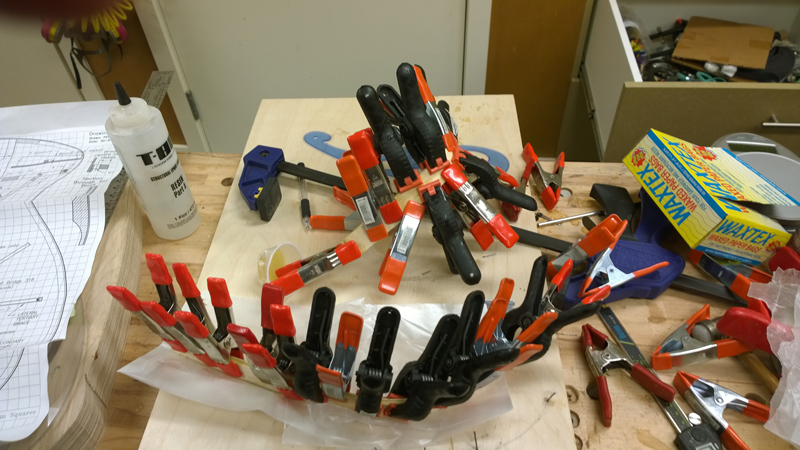 Speaking of messes I did epoxy the stack of falcate brace strips. They turned out OK. 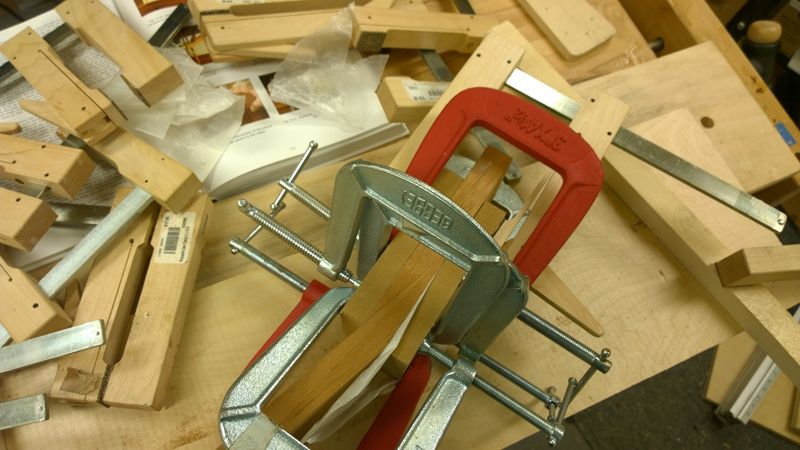 In the future if I stick to the falcate bracing I will make a couple of molds and use a band clamp to laminate them. 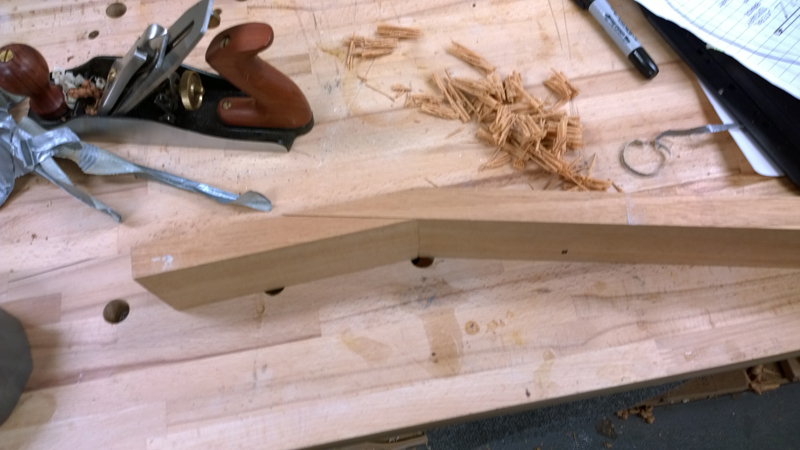 I used my shooting board and some clamps to hold the joint in place and really glued it with some heavy duty clamps. 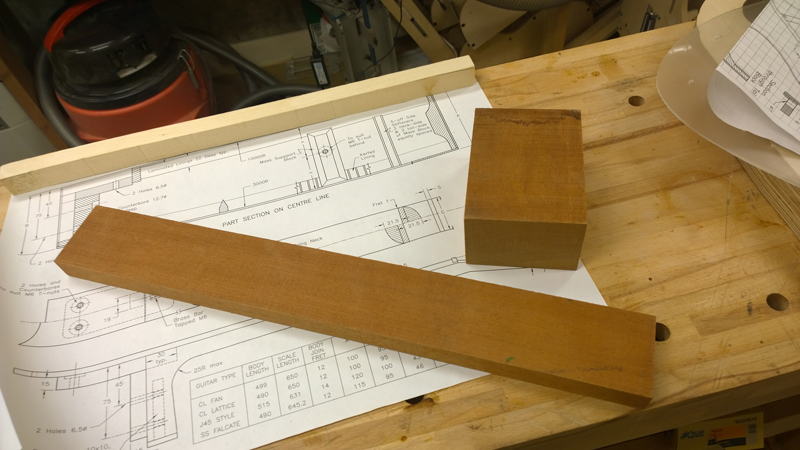 I had a big block for the heal so I cut it into two heel blanks. 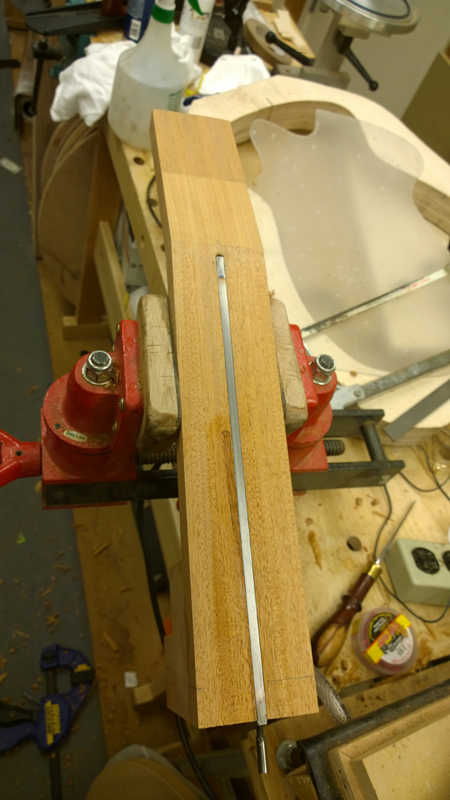 Here again I planed the surfaces flat and used some real clamps to glue the heel on the neck. Here is where the bone head maneuver came in to play. 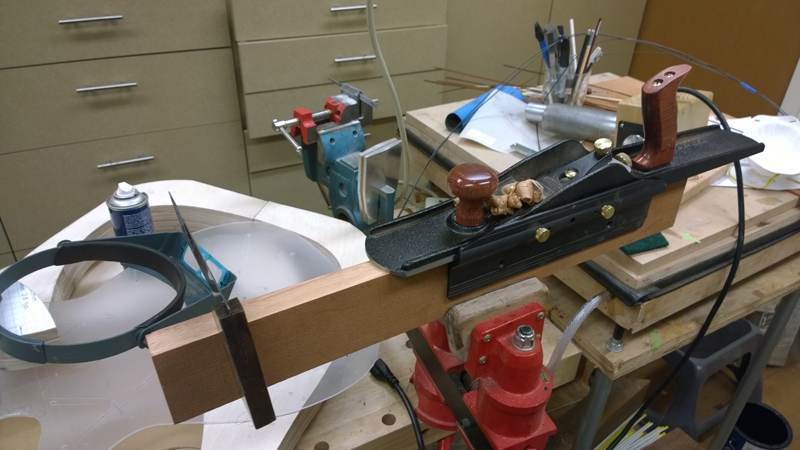 I very carefully set up the router table for a truss rod slot right up the center of the neck blank. 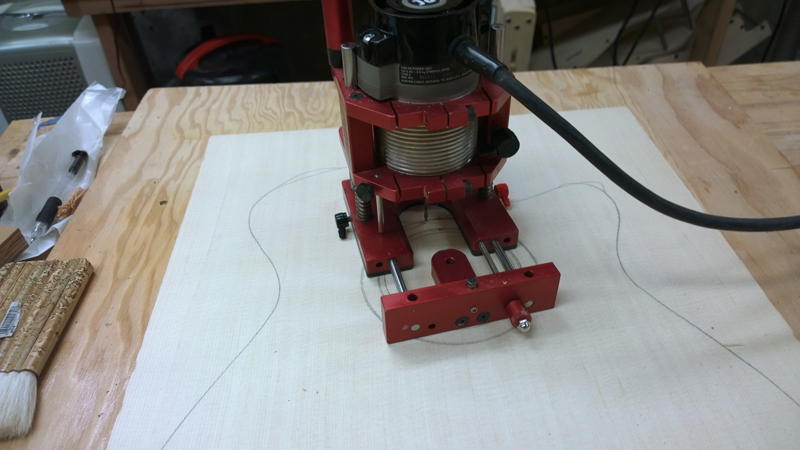 Then proceed to start the route before tightening the router table fence. Oh well. 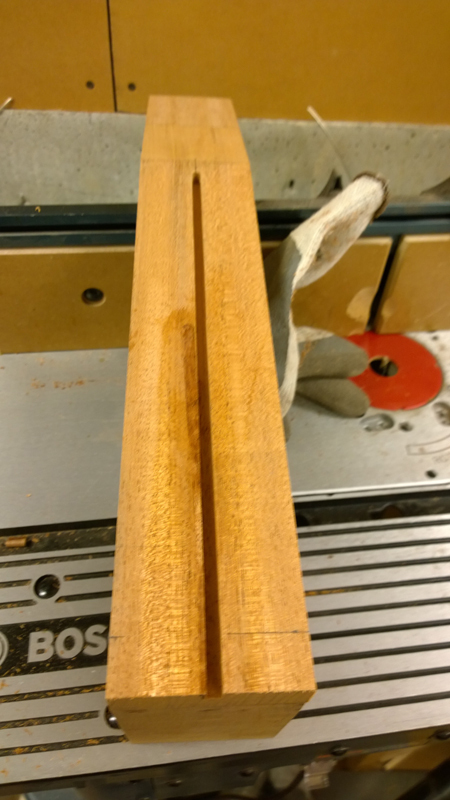 I cut a strip of mahogany planed it and shaped it to fit in the miss-cut slot. It fit in so nicely that I just wicked in some CA. 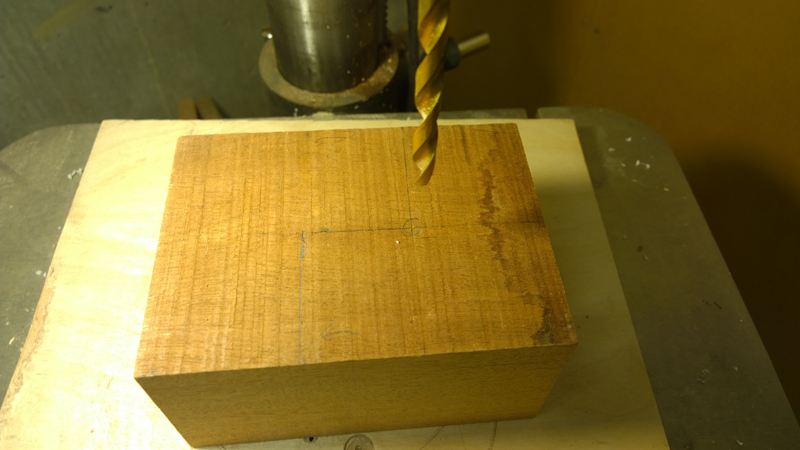 I reset the table a made a proper slot. 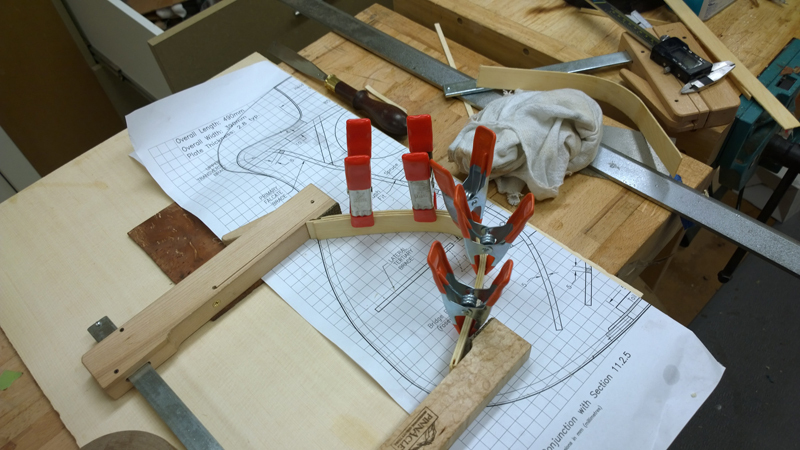 No one will see this fix, unless they are changing the fret board in the future for a repair.
. 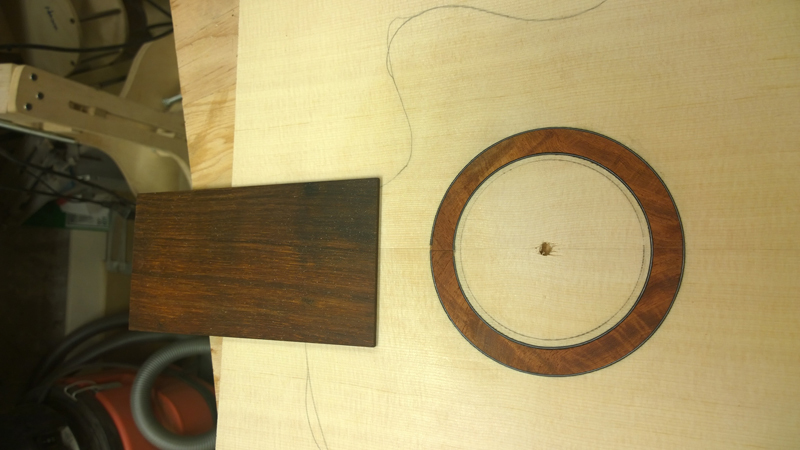 I also installed an extra amboyna rosette I made as an option for a previous guitar. 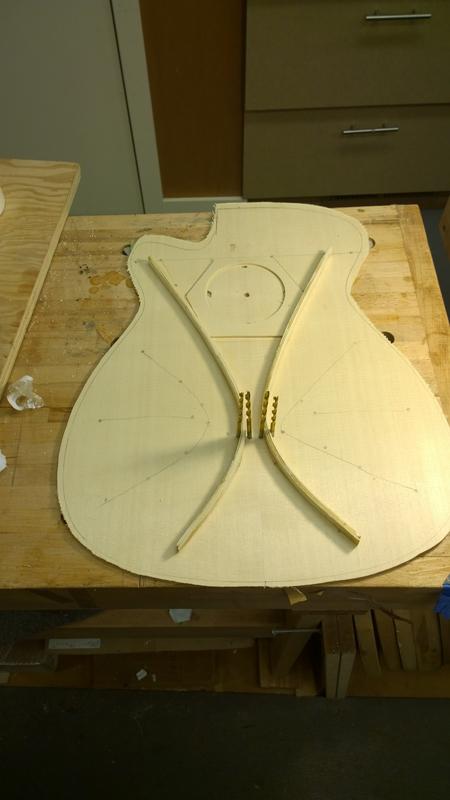 To insure proper bridge and sound hole alignment, and given that I need to drill the peg holes early in the bracing process. 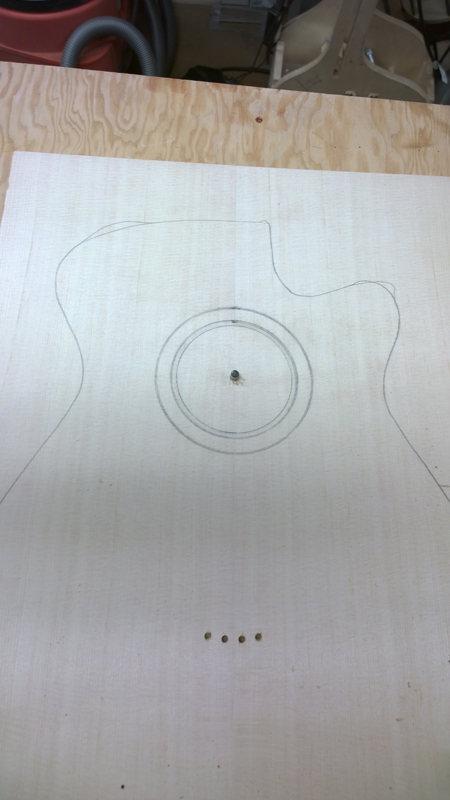 I used the template to drill some of the peg holes and the center of the rosette. 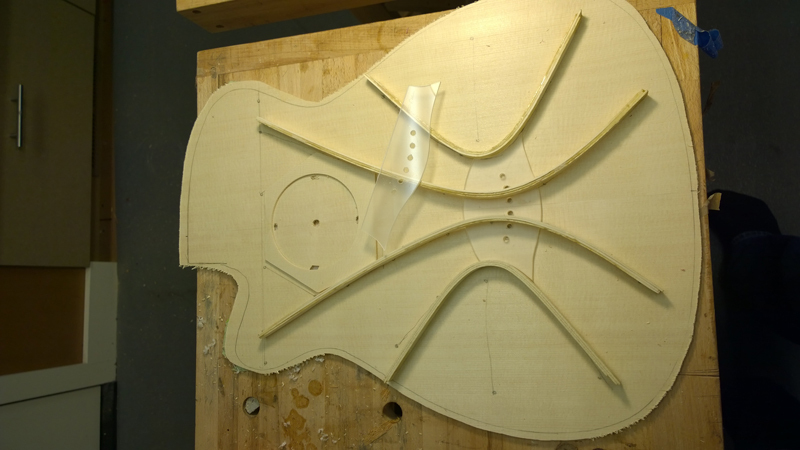 I did not do any fancy measurements I just used the router and it fine adjustment to sneak up of the slot I need for the rosette and a couple of thin bwb purflings. 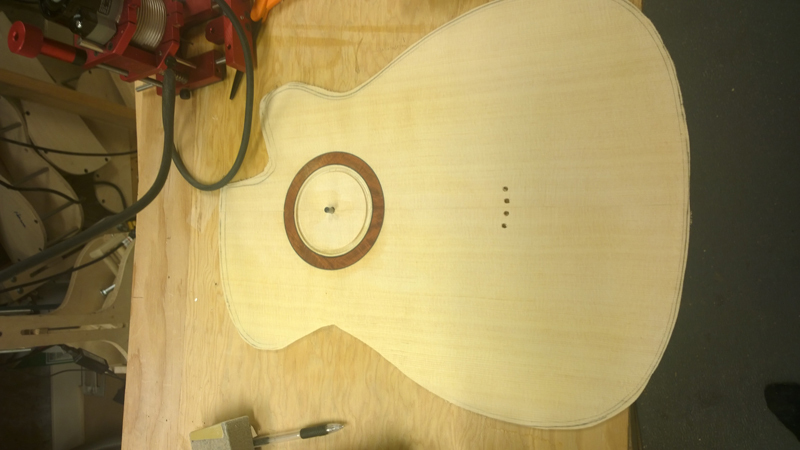 I routed the sound hole such that it should be close to dropping out when the top is the correct thickness. 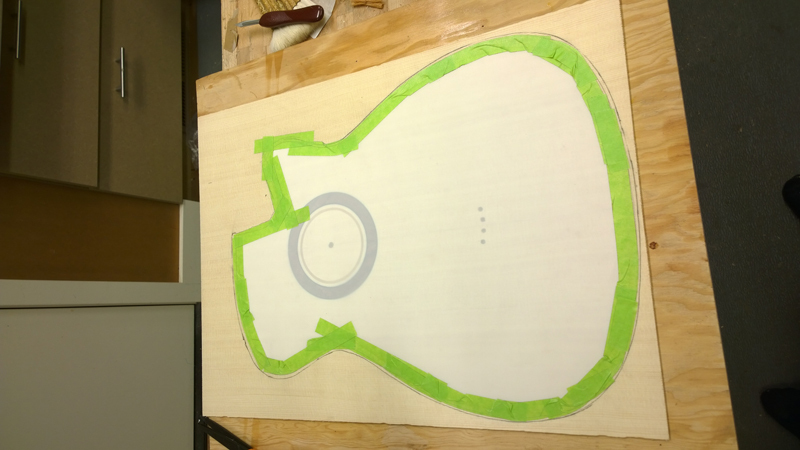 Once very close to the proper thickness I made a 3 mill mylar to cover for the top to protect it during bracing. 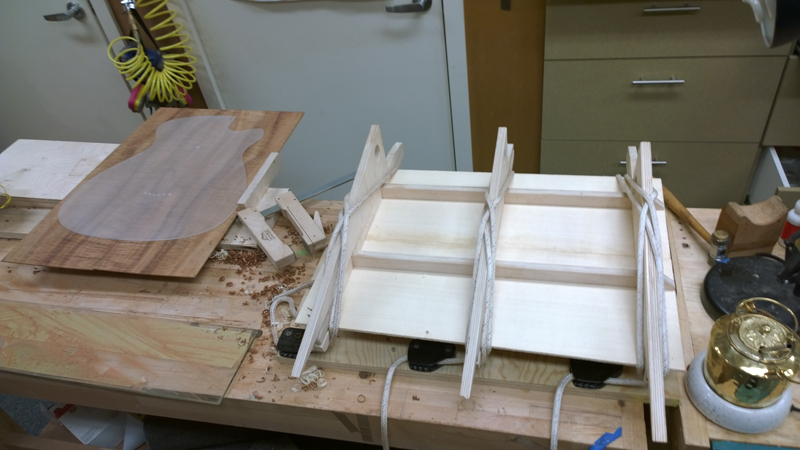 I spent the rest of the weekend preparing to do the top bracing. 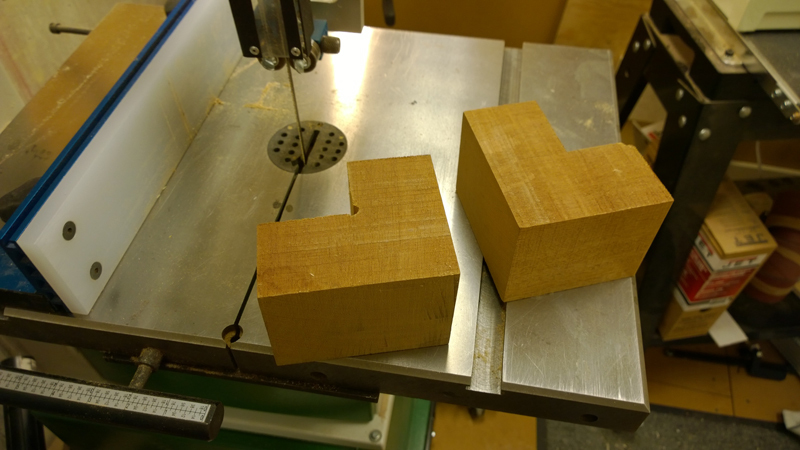 The last photo shows why I need to drill the peg holes so early; the main braces passes between two peg holes.